This time of year, I want to eat s’mores everything and I know the kids do, too. And while I love the combo of marshmallows, chocolate, and graham crackers, what I DON’T love is the mess they make. 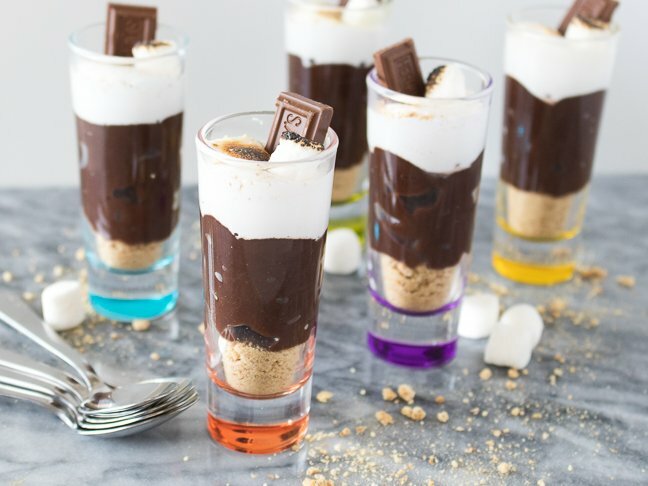 Enter the s’mores shooter — a dessert with all the goodness of a s’more, but with none of the sticky mess. 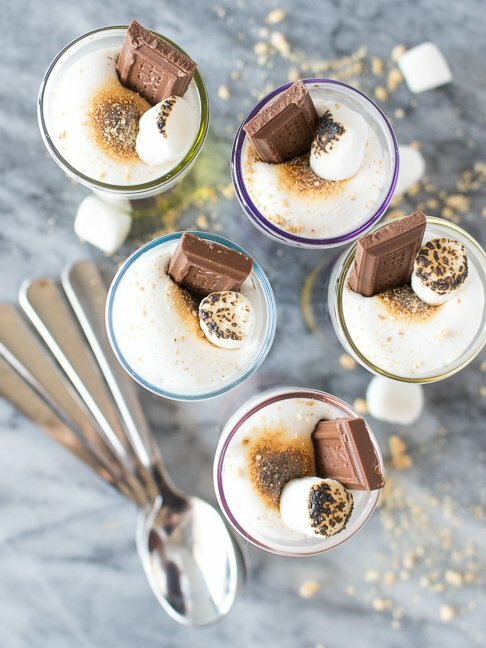 Dessert shooters are perfectly portioned into small glasses or cups for simple serving, which makes them easy to prepare ahead of time. 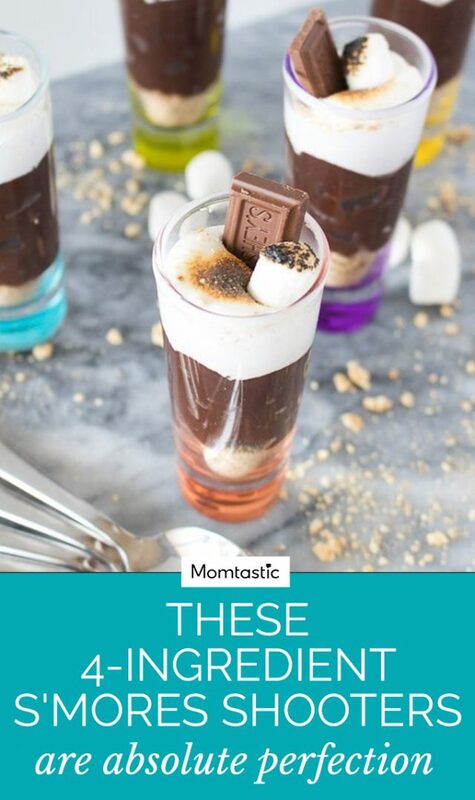 Take this recipe up a notch with extra decorations like toasted marshmallows and slices of chocolate, or simply add the ingredients to plastic cups for an afternoon treat. Instant pudding is a gift to humankind, if you ask me. With a little graham cracker and marshmallow fluff, it’s a match made in heaven. 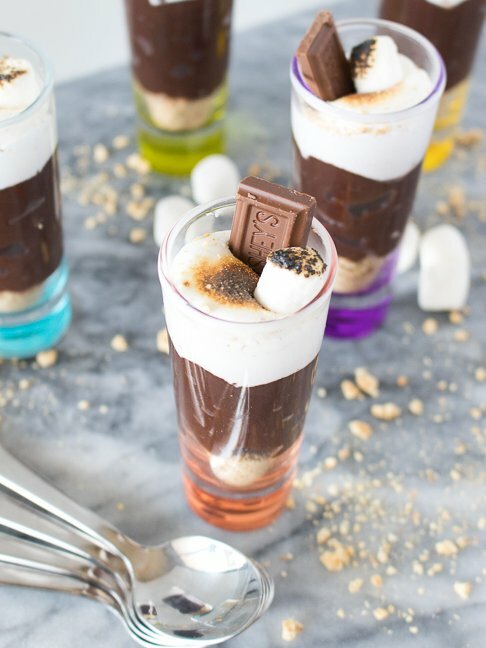 Here’s how to whip up your own s’mores shooters in less than 15 minutes! toppings: mini marshmallows, pieces of chocolate etc. Step 1: Whisk together instant chocolate pudding and milk according to package instructions. Move to the fridge to set for 5 minutes. Step 2: Place several graham crackers into a ziplock bag and crush with a cup or rolling pin. Alternatively, pulse in a food processor for fine crumbs. Step 3: Spoon the graham cracker crumbs into the bottom of tall shooter glasses or plastic cups. Top with a thick layer of prepared chocolate pudding. Step 4: Scoop marshmallow fluff into a ziplock bag or pastry bag and cut the tip. Pipe a dollop of marshmallow fluff on top of the chocolate pudding. Sprinkle with additional graham cracker crumbs, mini marshmallows and/or pieces of chocolate. If desired, use a kitchen torch to toast the top of the marshmallow fluff. Serve chilled with small spoons. Store in the fridge for up to 3 days. 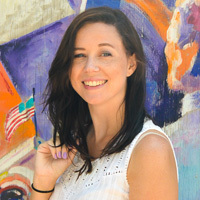 Quick tip! If you don't have a kitchen torch, you can toast extra marshmallows on the broiler setting on your oven.